MLS# 13764974 – Built by M-I Homes – Ready Now! ~ Great location near the tollway and Main street. The Kearney plan has 2 bedrooms downstairs and 2 bedrooms upstairs. This home has it all, a study, game room, 2nd living area , 2 story ceilings in the family room. Finished out in beautiful grey tones with dark wood floors through out the first floors common areas. This kitchen has beautiful white cabinets, stainless steel appliances, breakfast bar, double ovens, pot and pan drawers, trash drawer and so much more. The bedrooms are all split for maximum privacy. This home is on a premium lot across from the park. 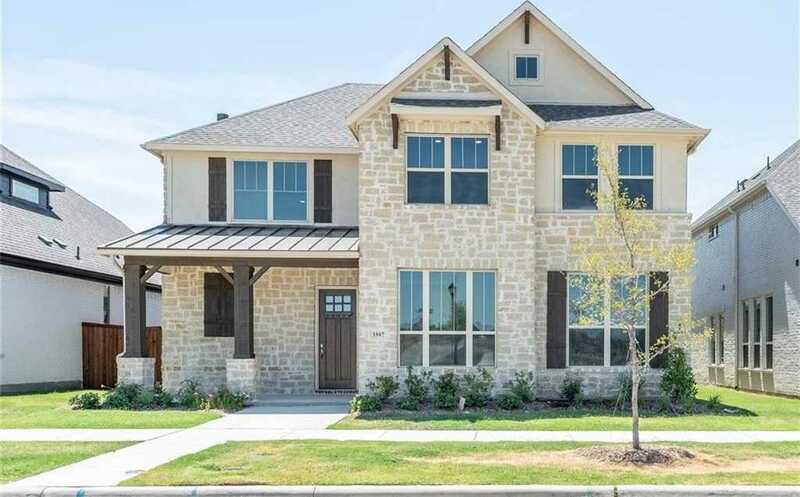 See our Kearney model home at 3779 Harvest Lane in Frisco. Please, send me more information on this property: MLS# 13764974 – $497,990 – 3597 Harvest Lane, Frisco, TX 75034. I would like to schedule a showing appointment for this property: MLS# 13764974 – $497,990 – 3597 Harvest Lane, Frisco, TX 75034.